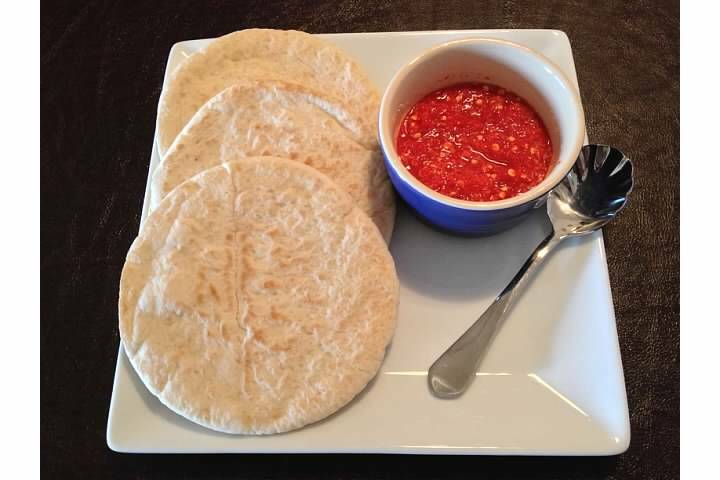 This is my final recipe and final blog entry. Over the last five months I’ve tried enough recipes to make a cookbook with 50 recipes (10 soups, 15 mains, 15 desserts, and 10 extras). I’ve had a lot of fun with all this cooking, and my husband and I have enjoyed eating the fruits of my labors… for the most part. Now on to other projects. 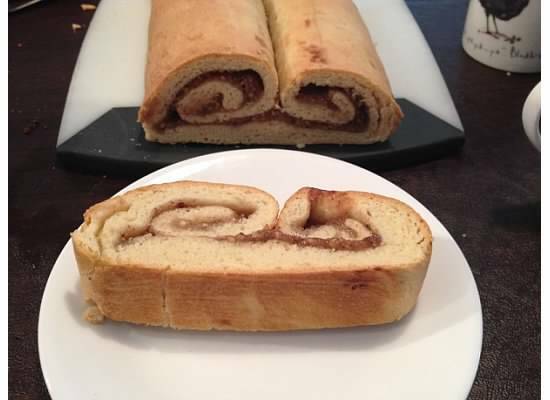 Instead of splitting the dough, I rolled the sides in to the center for one large roll. 2. Once dissolved, add the flour, one whole egg, one egg yolk, powdered sugar, and a pinch of salt. Stir to combine, then gradually add enough milk to make a soft dough. 3. Add the cooled melted butter. (Make sure that the butter cools, as the hot butter will kill the yeast.) Let dough rest until it doubles in size. 4. Knead the dough, then split the dough into two equal parts. 5. Roll out each piece of dough and brush with melted butter. Sprinkle the chopped walnuts and sugar over each, then roll up jelly-roll style. 6. Place each roll on a baking tray lined with baking paper and bake at 180 C for 35 minutes. It’ll warm you up on a cold day, guaranteed. The ratio of spicy to sweet peppers is to taste. 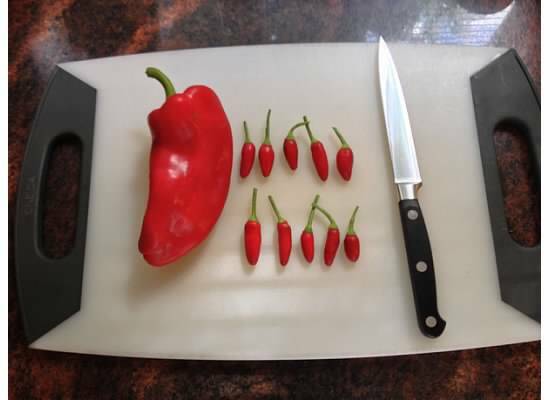 The test batch that I made was with a 1:10 ratio (1 sweet pepper for every 10 spicy peppers). And for the love of all that is good and pure, wear gloves when you do this. 1. Wash the peppers and remove the stem. 2. Process the peppers in a food processor or grinder. 3. Add 20 dag (7.1 oz) of salt per kilo (35 oz) of ground peppers. 4. Place in jars that have been washed and thoroughly dried. The recipe that I found states that the final paste does not have to be canned because the salt will keep the peppers preserved. I think that when I make a big batch, however, I will err on the side of safety and process the filled jars to preserve them. A whole cart dedicated to langos — god bless whomever thought of this. And hells yes. 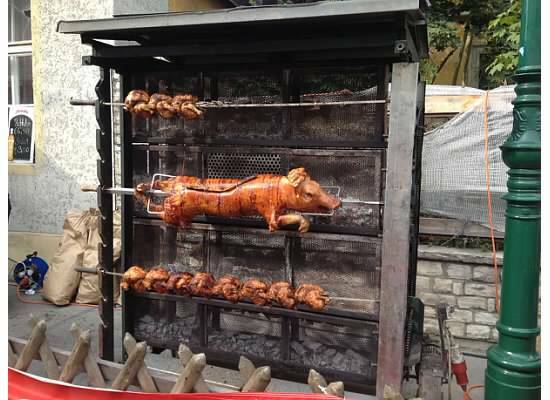 The Austrians know how to do it. 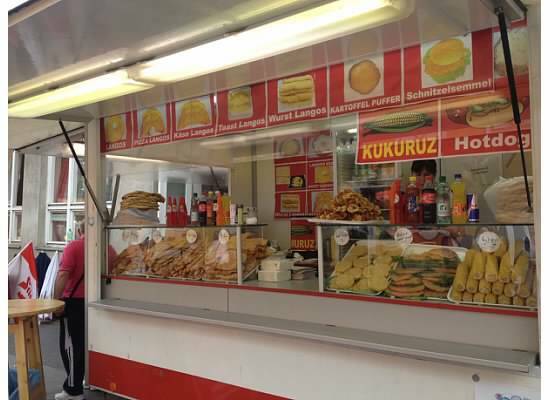 The first time I had Ćevapčići I was in Sarajevo and I just assumed they are a Bosnian thing, or perhaps a Balkan thing. 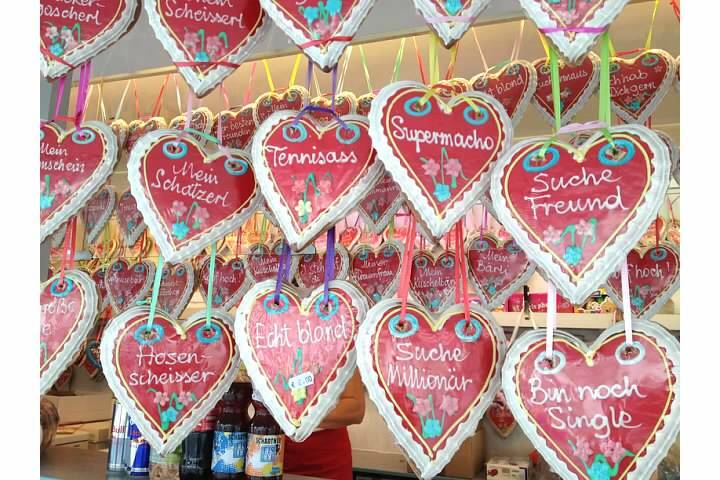 I was thus quite surprised by their popularity in Vienna: they can be found in street stands, pre-made in the grocery store, and in some restaurants. 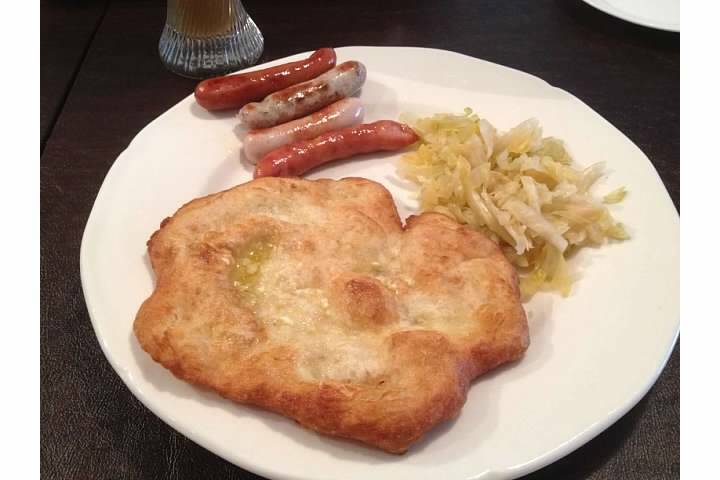 In fact, the picture in the header of this blog features Ćevapčići that we enjoyed at Schweizerhaus. 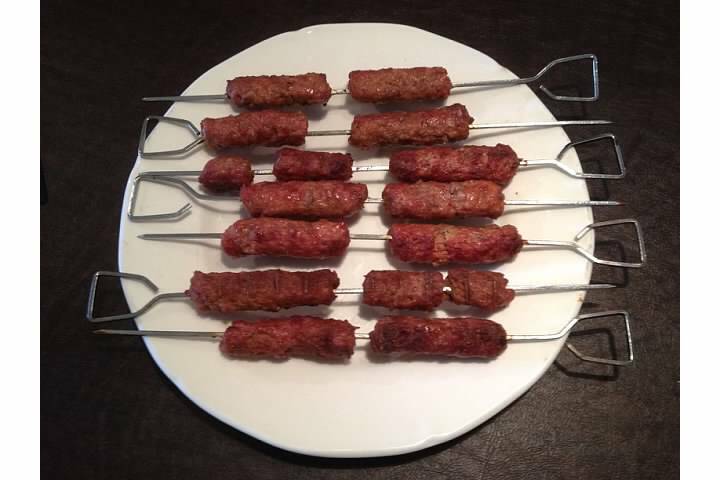 I purchased some of the aforementioned pre-made Ćevapčići at the grocery store and we grilled them this past weekend, which brought the subject to the front of my mind. 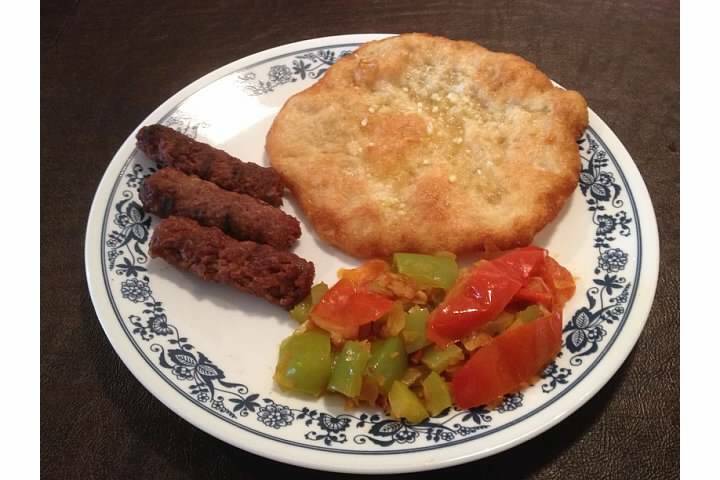 I did a little research and discovered that Ćevapčići are considered Bosnia and Herzegovina’s national dish, but they are also popular throughout southeast Europe. More importantly, I found some recipes for them. 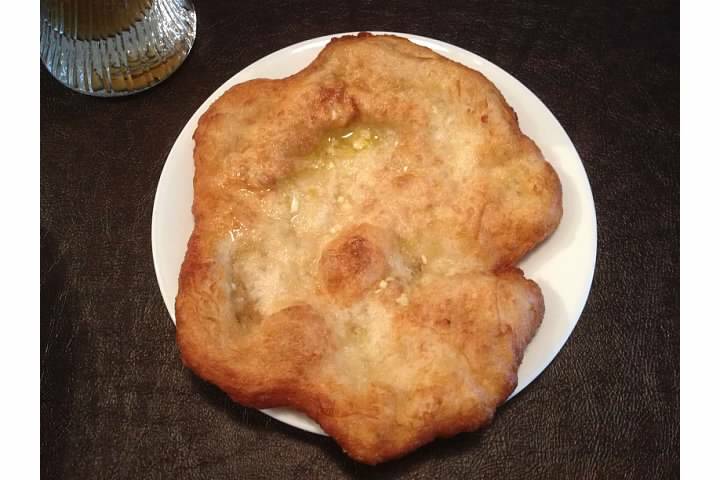 To recreate the above-pictured meal at home, check out my recipe for lescó, recipe for lángos, and stay tuned for a Ćevapčići recipe. As promised, here is a recipe for lángos. Don’t let the long ingredient list intimidate you: these are super easy to make and very, very tasty. 1. Prepare the dough: dissolve the yeast in the lukewarm milk and stir in 100 grams (3.5 oz) flour. Allow to rest covered in a warm place about 30 minutes. 2. After 30 minutes, knead the starter with the remaining dough ingredients (except the brushing oil). Let the finished dough rest in a warm place for 10 minutes. 3. Divide the dough into equal parts weighing about 110 grams (3.9 oz) each and shape into round balls. Place the balls on a lined baking tray, flatten, and brush with a little oil. 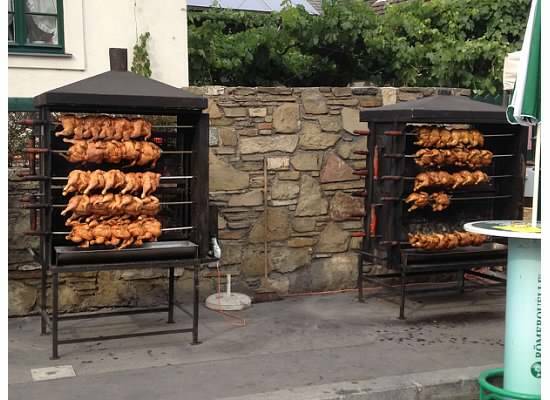 Let rest at room temperature for half an hour. 4. Peel and crush the garlic, and toss it with oil and salt. Heat the frying oil to 175° C (about 350 F) in a deep pot. While the oil is heating, flatten the dough by hand into flat pancake shapes. Lángos can be described as “circle-ish,” so you really can’t go wrong when shaping them. 5. Once the oil is heated, fry the lángos on both sides until both sides are crispy. Drain the fried bread on a paper towel and sprinkle with the garlic/oil mixture. 6. If garnishing, mix the sour cream, chives, salt, and pepper. Add a dollop of this mixture to each piece of lángos. Tip: You can wrap the oiled dough in foil and freeze it for up to one week without any loss of flavor. Follow the recipe through step 3 and after the dough has rested for 30 minutes, wrap each individual piece of flattened dough in foil. Bring to room temperature before frying. 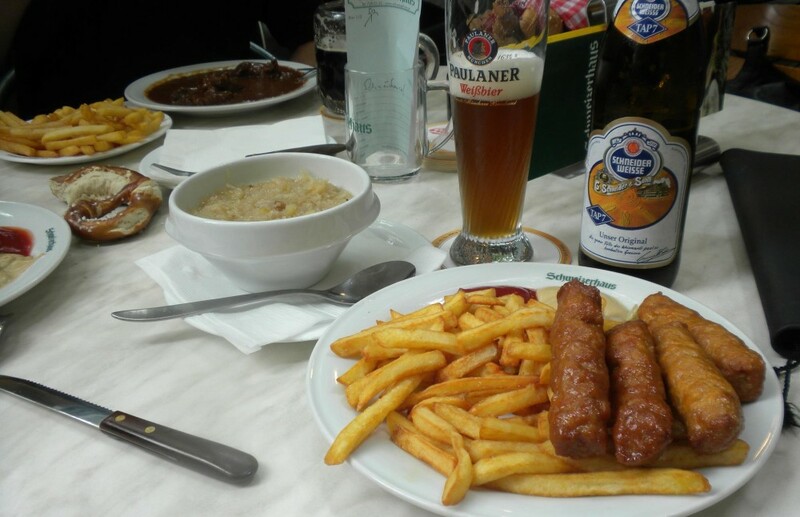 Enjoy with some wurst and homemade sauerkraut, and of course a cold beer.